Birthplace : Philadelphia, Pennsylvania, U.S.
Maxine W. Kumin was a well-known American poet and children's author, but also a fiction writer. 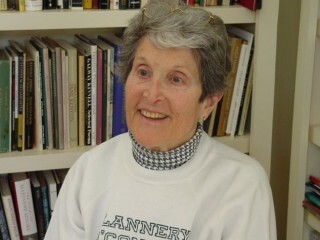 She was appointed Poet Laureate Consultant in Poetry to the Library of Congress in 1981–1982. Her “well-made poems and stories are two ways of coming at the same immemorial preoccupations: aging and mortality,” wrote Clara Claiborne Park in the Nation, and deemed Kumin’s work “the fiction and poetry of maturity.” Her poems are also mature for another reason: Kumin did not begin to write and publish until mid-life, when she found encouragement in workshops at the Boston Center for Adult Education. Her early poems display her mastery of technique and deal with themes that she has continued to explore throughout her career: identity, the ephemeral nature of life, loss, and man’s relationship to nature. Many of these early works were collected in Kumin’s first book of poems, Halfway (1961), published when she was 36. While attending the Boston workshops, Kumin met and befriended the poet Anne Sexton. Both homemakers with children when they began their literary careers, they wrote four children’s books together and in general contributed to each other’s development. The two poets communicated on a nearly daily basis, conducting private workshops by letter and phone. Consequently, critics tried to trace a strong mutual influence, but both poets denied one. Nonetheless, there were some significant exchanges, and the two poets suggested titles for each other’s work on at least two occasions. Kumin’s later work received praise for its emotional attentiveness and elegiac nature. Reviewing Nurture (1989), in the New York Times Book Review, Carol Muske remarked, “These poems are exhaustive in their sorrow: they are predominantly short, brutal elegies for the natural world.” In later books, such as The Long Approach (1986), Nurture, Looking for Luck (1992), and Connecting the Dots: Poems (1996), Kumin continues to focus on the daily rituals of farm-life, as well as turning her attention to social and environmental problems such as pollution, religious persecution, nuclear holocaust, and famine. Aimed resolutely outward, Kumin’s protest poetry has not received unanimous praise. In general, Kumin has been praised as a poet of the personal and every-day, not a prophetic seer. Diane Wakoski, writing in the Women’s Review of Books, criticized the socially-aware poems in Nurture as “bitter, overstated, trivial,” but praised the more personal poems in the collection, noting that in these pieces “the goddess voice and stance returns.” However, in Connecting the Dots: Poems, the poet returns to well-known territory and “reexamines the familiar materials of her previous books with her far-ranging eye and technical skill,” according to Fay Weldon, who reviewed the volume in the Boston Book Review. When Kumin was 73 she suffered an accident while preparing a horse for competition and broke her neck, receiving serious internal injuries. She was able to make a successful recovery, however, and her book Inside the Halo and Beyond: The Anatomy of a Recovery (1999) describes her convalescence. Anne Roiphe, writing for the New York Times Book Review, described Kumin’s language as “precise and spare.” Roiphe noted that although Kumin is a poet, this book “is rarely poetic in the usual sense of heightened metaphor or compacted image.” Roiphe likened the work “to a dignified prayer of thanks” that resonates with “wisdom while announcing a triumph of body and soul.” The same year that Inside the Halo and Beyond was released, Kumin also published Always Beginning: Essays on a Life in Poetry, a collection of essays and poems describing Kumin’s daily life as a poet. She includes interviews, diary entries, and keynote addresses, as well as poetry. Kumin’s last poetry collections were Jack and Other New Poems (2005), Still to Mow (2007), and Where I Live: New and Selected Poems (2011). Of Jack and Other New Poems, Elaine Sexton in Prairie Schooner noted that it “serves up...a bracing mix of persona poems, elegies, and lyric narratives, the stuff of biting paradox and stark self-appraisal.” The book features a collection of simply worded poems, each written in the voice of a different type of person, from a hospice worker to someone looking back on history. Booklist contributor Donna Seaman found the work to be a group of “well-turned, neatly well balanced poems” and a “radiant testimony to life attentively witnessed and cherished.” Still to Mow likewise received praise, though its subject matter returned to some of the more overtly political statements of Kumin’s mid-'90s work. In the journal Rattle, Mike Maggio noted that while Kumin “has written poems that speak to the issues of our day, in this case the Iraq War and the travesties…that have followed in its wake,” the collection is not “a purely political collection: there are poems about nature, about her dog, Virgil, poems that hark back to her growing up during the depression or that deal with old age and death. All of which are written with the utmost economy, with a lyricism that belies some of the subject matter that Kumin delves into.” Her final collection, Where I Live: New and Selected Poems, was the winner of the 2011 Los Angeles Times Book Award. Halfway, Holt (New York, NY), 1961. The Privilege, Harper (New York, NY), 1965. The Nightmare Factory, Harper (New York, NY), 1970. Up Country: Poems of New England, New and Selected, illustrated by Barbara Swan, Harper (New York, NY), 1972. House, Bridge, Fountain, Gate, Viking (New York, NY), 1975. Progress Report (sound recording), Watershed, 1976. The Retrieval System, Viking (New York, NY), 1978. Our Ground Time Here Will Be Brief: New and Selected Poems, Viking (New York, NY), 1982. Closing the Ring: Selected Poems, Press of Appletree Alley, Bucknell University (Lewisburg, PA), 1984. The Long Approach, Viking (New York, NY), 1985. Nurture, Viking Penguin (New York, NY), 1989. Looking for Luck, W.W. Norton (New York, NY), 1992. Connecting the Dots: Poems, W.W. Norton (New York, NY), 1996. Selected Poems, 1960-1990, W.W. Norton (New York, NY), 1997. The Long Marriage, W.W. Norton (New York, NY), 2001. Bringing Together: Uncollected Early Poems, 1958-1988, W.W. Norton (New York, NY), 2003. Jack and Other New Poems, W.W. Norton (New York, NY), 2005. Still to Mow, W.W. Norton (New York, NY), 2007. Where I Live: New and Selected Poems, W.W. Norton (New York, NY), 2011. Through Dooms of Love (novel), Harper (New York, NY), 1965, published as A Daughter and Her Loves, Gollancz (London, England), 1965. The Passions of Uxport (novel), Harper (New York, NY), 1968. The Abduction (novel), Harper (New York, NY), 1971. The Designated Heir (novel), Viking (New York, NY), 1974. Why Can't We Live Together Like Civilized Human Beings? (short stories), Viking (New York, NY), 1982. Quit Monks or Die! (mystery novel), Story Line (Ashland, OR), 1999. Sebastian and the Dragon, Putnam (New York, NY), 1960. Spring Things, Putnam (New York, NY), 1961. A Summer Story, Putnam (New York, NY), 1961. Follow the Fall, Putnam (New York, NY), 1961. A Winter Friend, Putnam (New York, NY), 1961. Mittens in May, Putnam (New York, NY), 1962. No One Writes a Letter to the Snail, Putnam (New York, NY), 1962. (With Anne Sexton) Eggs of Things, Putnam (New York, NY), 1963. Archibald the Traveling Poodle, Putnam (New York, NY), 1963. (With Anne Sexton) More Eggs of Things, Putnam (New York, NY), 1964. Speedy Digs Downside Up, Putnam (New York, NY), 1964. The Beach before Breakfast, Putnam (New York, NY), 1964. Paul Bunyan, Putnam (New York, NY), 1966. Faraway Farm, W.W. Norton (New York, NY), 1967. The Wonderful Babies of 1809 and Other Years, Putnam (New York, NY), 1968. When Grandmother Was Young, Putnam (New York, NY), 1969. When Mother Was Young, Putnam (New York, NY), 1970. When Great-Grandmother Was Young, illustrated by Don Almquist, Putnam (New York, NY), 1971. (With Anne Sexton) Joey and the Birthday Present, illustrated by Evaline Ness, McGraw-Hill (New York, NY), 1971. (With Anne Sexton) The Wizard's Tears, McGraw-Hill (New York, NY), 1975. What Color Is Caesar?, illustrated by Evaline Ness, McGraw-Hill (New York, NY), 1978. The Microscope, illustrated by Arnold Lobel, Harper (New York, NY), 1984. Mites to Mastodons: A Book of Animal Poems, Small and Large, illustrated by Pamela Zagarenski, edited by Liz Rosenberg, Houghton Mifflin (Boston, MA), 2006.